This is frequently used in terms of a big end ‘going’. It sounds painful and for an engine, a big end failure is catastrophic. 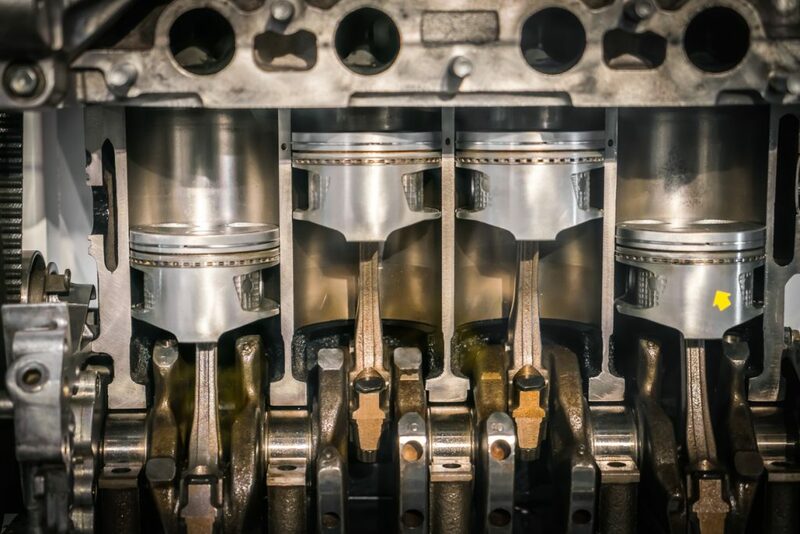 All internal combustion engines have pistons which go up and down. These connect to a crankshaft that converts the pistons’ energy to power the wheels. The big end is the physical mechanism that joins the pistons to the crankshaft. It has bearings that are semi-circular metal sleeves. These take a lot of punishment and can wear out. If they do, there’ll be a loud knocking noise from the engine, parts will no longer be as synchronised as they should be and eventually the engine will literally grind to a halt. A technician usually refers to this as clogged. All modern diesel cars have a DPF or Diesel Particulate Filter. It works by catching the smoke which is made up of harmful particulates. Hot exhaust gases turn the contents of the filter into ash to prevent it from clogging. The trouble is, on short journeys the exhaust gases don’t get hot enough to clear the filter which gets blocked. New filters are expensive and removing them completely isn’t an option if cars are to remain road legal. It sounds like something adults might accuse kids of getting up to in the school holidays. Actually it’s used in relation to any kind of mechanical connection. It means the part is moving more than it should or in a direction that it shouldn’t. This is usually employed in relation to steering and suspension components. Two words you’ll be hearing increasingly with modern cars. The implication is a technician will do something complicated with a computer, then spend hours carefully poring over spread sheets of data. That couldn’t be further from the truth. The technician simply plugs a computer into a port in one of the car’s front footwells. The software on the laptop then talks to the car’s computer which reveals any faults it’s detected. As they’re computers they talk in code (mechanics might mention fault codes) but technicians can easily decipher these. The diagnostic check will frequently tell the mechanic the symptoms. They should then be able to work out what the problem is. When a mechanic starts talking about bushes and wishbones, they haven’t developed a sudden interest in gardening and poultry. The bush is a vital part of your car’s suspension; the wishbone a suspension component that looks a bit like a chicken bone. The bush is a rubber liner that keeps the suspension joints snug and stops metal grinding against metal. But because they’re rubber they wear out. 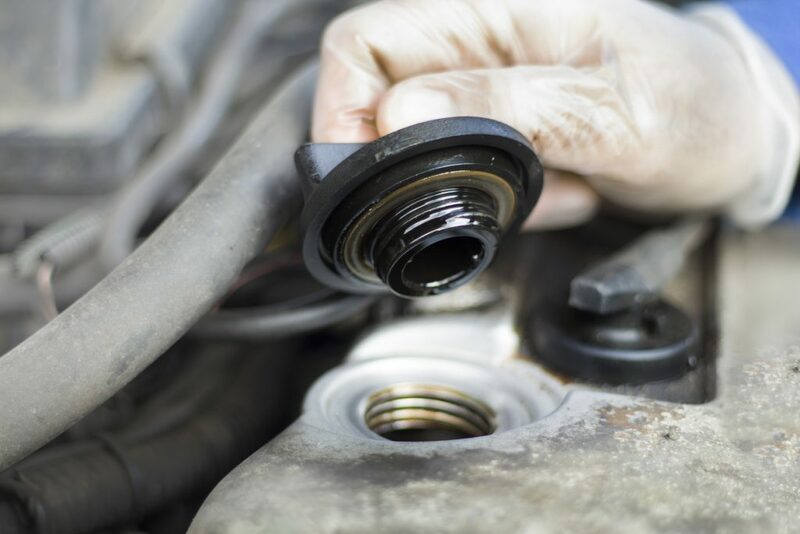 The older a car is, or the more miles it’s covered, the more likely its suspension bushes are to wear out. But don’t worry, it shouldn’t be too expensive. Oil lubricates engines; water cools them. The two shouldn’t mix. However, sometimes worn engine parts mean water or condensation gets into the lubrication system. The water combines with oil forming an emulsion that looks like Hellmann’s finest. This mayonnaise then gathers on the inside edge of the oil filler cap. It can mean that the engine’s head gasket is failing. But it might be that the engine isn’t warming up sufficiently in cold weather. 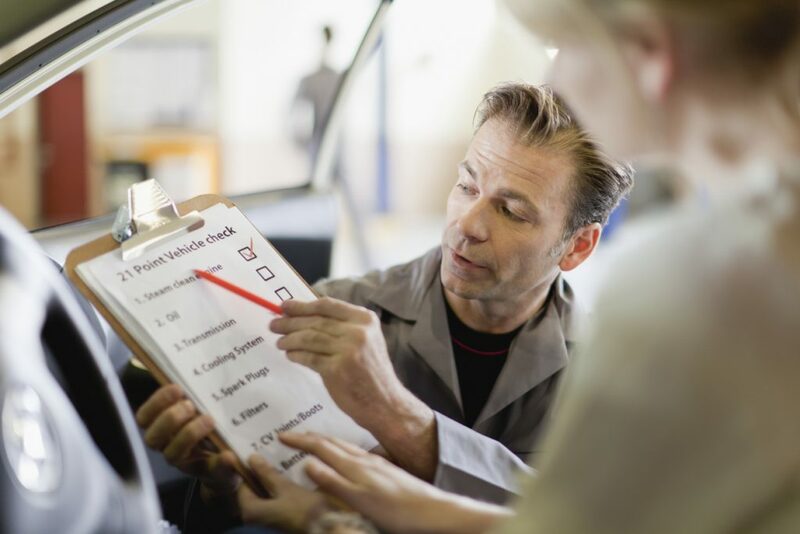 If the problem persists in all conditions, take the car to a garage you trust and ask them to investigate. A compression test should warn of any serious problems. The ‘con’ rod connects the piston to the crank shaft. the big end is the big end of the con rod and connect it to the crank shaft. The piston end of the con rod is the little end. Nice one, probably could add a few more. 50 years in the motor trade. From tuning and racing in57/60/70. The latter year’s a sevice engineer with MG/Rover.At 76 years old, reluctant to pay for servicing and repairs. Surely you should have got some of your money back. I have been a mechanic now for over 40 years and worked on a large variety of vehicles. Due to my age I am now having to take my car to a garage, which at times have tried to kid me, but with no success. I do feel for those who rely on garages for repairs with no experience of what they are talking about and getting charged a large amount of money. Your illustration of a big end is incorrect. The arrow in the picture is pointing at the small end bearing area, where the con-rod connects to the piston. The big end, as I’m sure you knew, is where the larger end of the con-rod connects with the crankshaft via a journal/big end bearing. I know there is something wrong with my car but it has recently passed its MOT so it is obviously nothing too serious. As a woman driver I am terrified of taking it to a garage and asking them to find out why it feels like I am driving a car with no tyres. It shouldn’t have to be so difficult to get a decent reliable diagnosis. I had a headlamp replaced by a garage I had used for years only to find out that they hadn’t properly aligned the beam so that almost failed me my MOT that year. I am lucky enough to have a very trustworthy garage to look after my car. I cannot fault anything they do and my Colt passes the MOT test every year, first time. The garage in question is Service u Right at Shaftesbury. Thanks guys! Surely if you take a car to a garage to fix a problem and they charge you but don’t fix the problem you shouldn’t have to pay again. If a plumber came into your house to fix a leaky boiler, charged you and went away but the boiler was still leaking, you’d get him back to put it right. But you wouldn’t pay him again to fix a problem you had already paid to be fixed. Why are garages seemingly exempt to this rule? I get that cars are complicated pieces of machinery but that’s why you give them to an expert to sort out.